The art of combining a boys’ trip and a ride with the wife. I find that the best plans always start with a degree of confusion, and this was no exception. 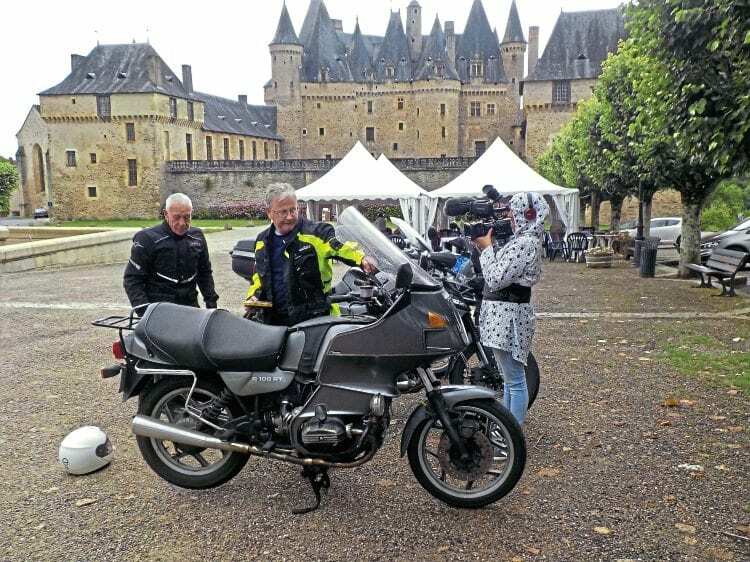 Barbara and I had set time aside to ride somewhere in Europe, but that was as far as the plan had got – then my riding mates, Allen Morbey and John Moss, found some time to go to France, or somewhere, or anywhere. Pont en Royan, the entrance to the Vercors. I wanted to do both, but to take my wife on a ‘boys’ trip’ changes things, it would stifle the swearing, drinking and lusting that makes a boys’ trip, a boys’ trip. We eventually reached a satisfactory compromise; I would go off with the lads and nine days later meet Barbara at Geneva Airport and we would continue from there. We don’t like to have a plan, but now we had a plan, of sorts. After a lovely ride down the Welsh border and over Dartmoor we caught the overnight ferry from Plymouth to Roscoff. We chose that ferry because John told us about the fantastic roads he had found across Brittany, so he led for the first day and lived up to his long established reputation as a navigator – he missed all the roads that he had planned to use, but we did make progress on main roads, quick but boring. 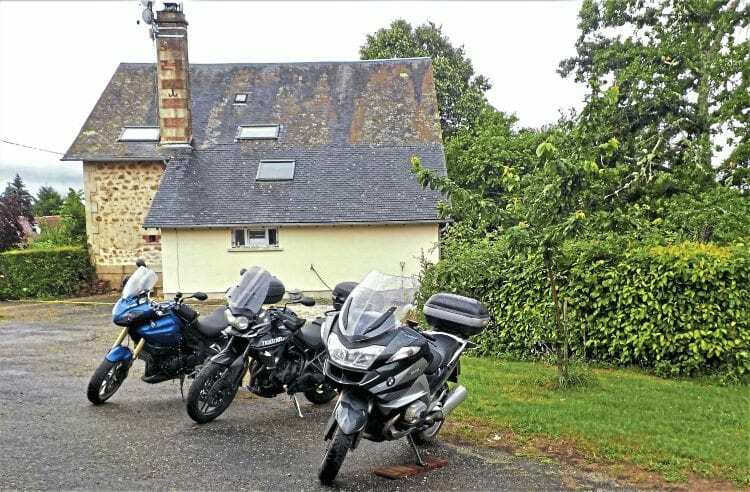 We spent the first night in a reasonable hotel in a quiet town on the banks of the Loire. 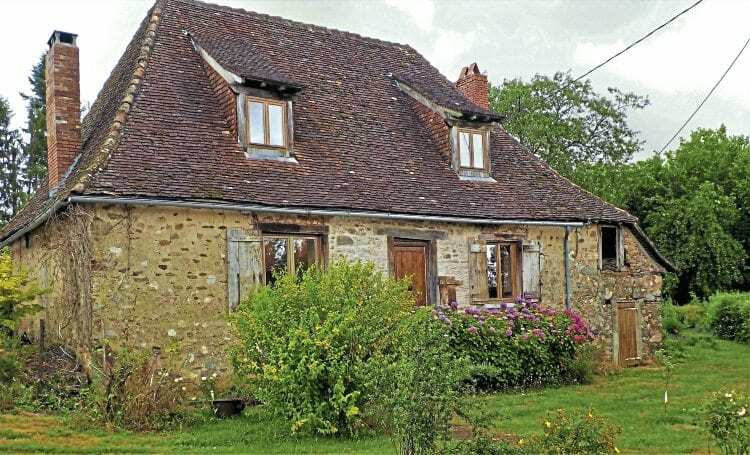 The stay was only memorable for an excellent meal of superb French food cooked by the restaurant owner’s English wife. Stephen, Allen, Bill and John (left to right). 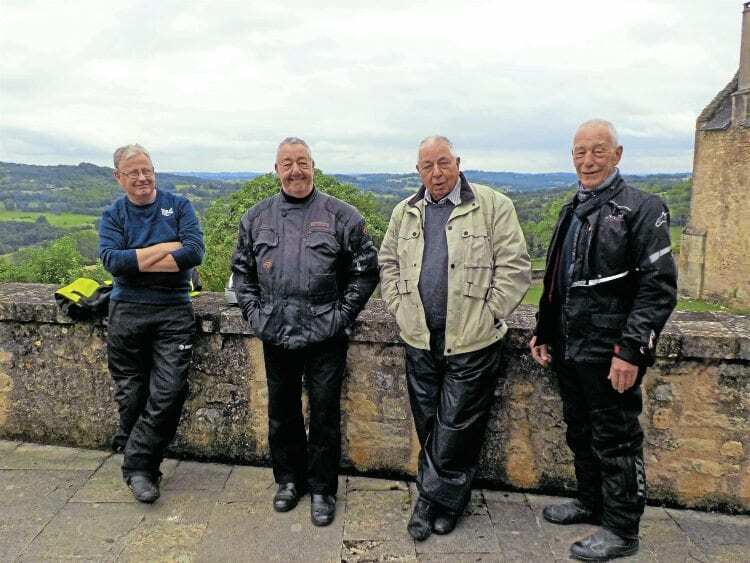 The next day was Al’s turn to lead south across France to stay with John’s mate Stephen Dunne, who has an old farm in the Limousin, between Limoges and Uzerche. We try to stick to the small roads and avoid main roads; that way you see the real France and have time to appreciate the scenery. Stephen is converting a cottage to accommodate guests, particularly motorcyclists. 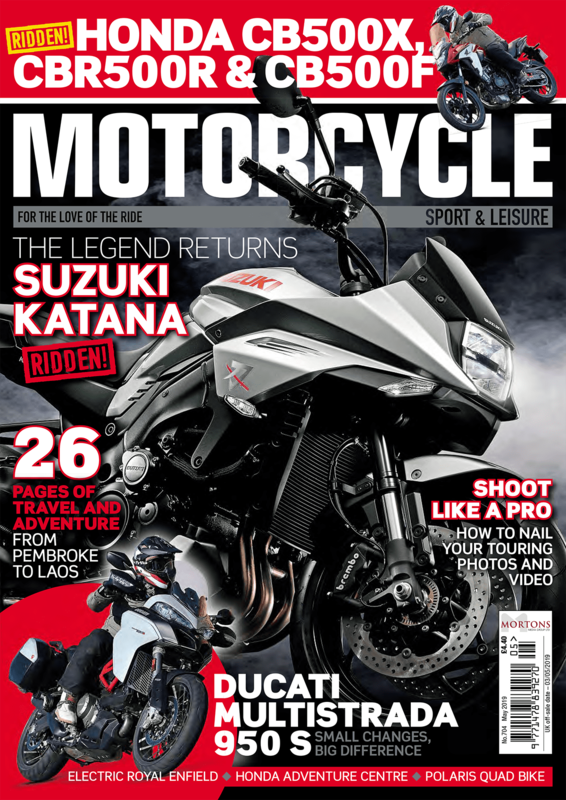 He is a biker through and through and has a large and varied collection of bikes in his many outbuildings. The cottage had the kitchen, living room and two of the three bedrooms well prepared, the third one being ‘a work in progress. Al and I stayed in the cottage and John in the farmhouse with Stephen and his girlfriend Claire. Stephen and Claire are very warm, excellent hosts who made us very welcome. It’s still raining, shall we help with the painting? The next morning it was raining so we volunteered to help Stephen with the decorating in the third bedroom, so there we were on holiday in France, painting walls and ceilings – something that I would try to avoid doing at home. Barbara did laugh when I told her and she still takes the mickey. The weather cleared to just showers by lunchtime, so Stephen led us around some of his favourite roads in the area. I had never been to that area before, but I am definitely going back. The roads are fantastic. Gorgeous scenery, sweeping bends with good surfaces and very little traffic. 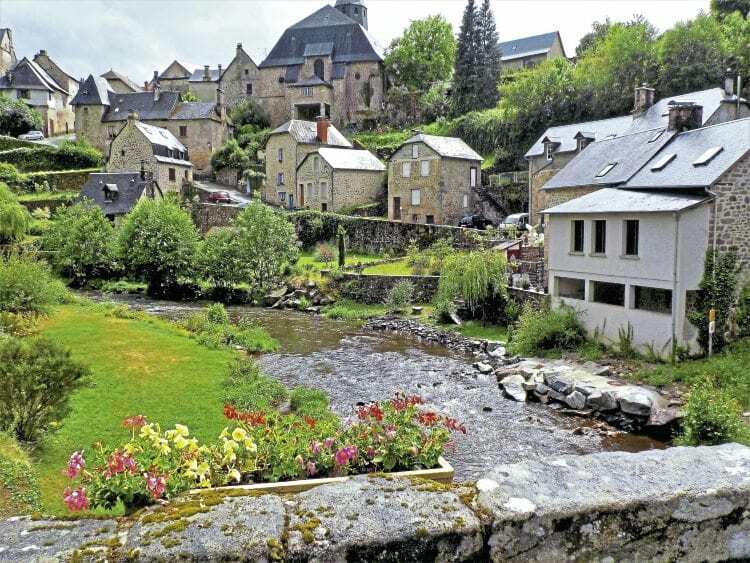 The towns and villages are attractive with a good scattering of Chateaux. Claire was riding pillion with Stephen on his newest bike, a 27-year-old BMW R100 RT and he could really ‘make progress’! We were well stretched keeping up with him. He is planning to use biker guests as an excuse to go for a ride to show them the fantastic area. It was just a bad contact, the trip continued. Channel 4 is using Stephen’s project as part of its New Life in the Sun series, coming out in the spring, and they wanted to film some hikers staying there, so we were it. We were due to meet the producer at Jumilhac-le-Grand, in front of the Chateau, for coffee. Now I expected at least a camera crew; you know – a producer with headphones, a sound person with a badger on a stick and a cameraman with a big camera. What we got was Jade, an attractive young lady with a big camera, and she did everything. She filmed everything: Stephen’s bike being repaired, us arriving – again, ‘go round and do it again from a different angle’, us leaving – twice, and then followed us back to Stephen’s place, filming all the way – so we had to behave. In the evening there was a festivity in the local village, so we all, including Jade, attended. It is only a small village but it did have three bouncy castles, a hook the duck stall, a very lively drumming group, beer, food, dancing, fireworks and a strong smell of ‘herbal tobacco’. Three bikes at Stephen’s place. The next day was a Sunday, but Jade was there to record our every move, from coming in for breakfast (‘Go out and do it again, this time without swearing!’), to riding out around the beautiful area and back. View from the bridge at Hautefort. As we were leaving on the Monday we told Jade that she had one shot of us leaving, we were not turning fully laden bikes around to go back and do it again. So having said our goodbyes and thanks to Stephen and Claire we departed past a guard of honour of GoPro cameras and then on our way across central France. If you look at a map (remember maps?) 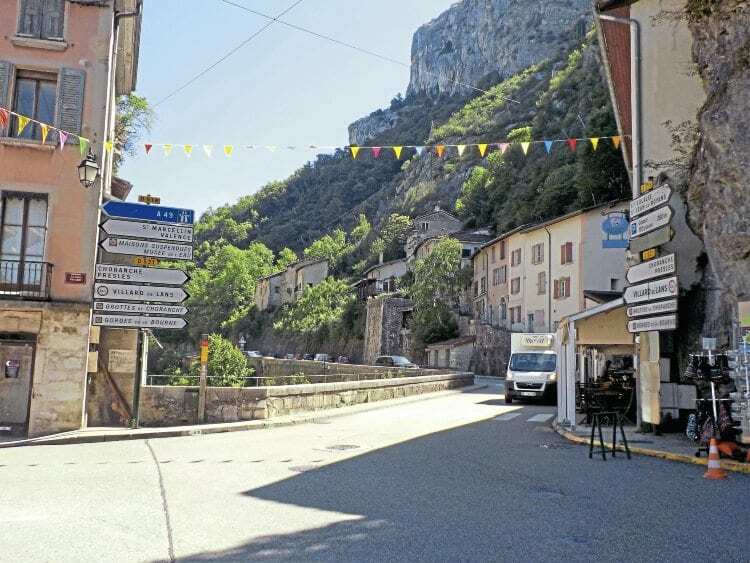 of cental France you will see its covered with a spaghetti of little winding yellow roads, highlighted with green to show ‘a scenic route’ – and they are not wrong! We did about 180 miles of glorious roads over Puy Mary to Le Puy en Velay. Good hotel, good food, good beer, good craic, then on next day over more good roads to Valence. Lavender fields at the foot of the Col.
We had two nights in Valence, spending a day going around the Vercors plateau, an area of deep gorges, winding roads on shelves half way up a cliff, through tunnels and breaking out into open highland meadows. 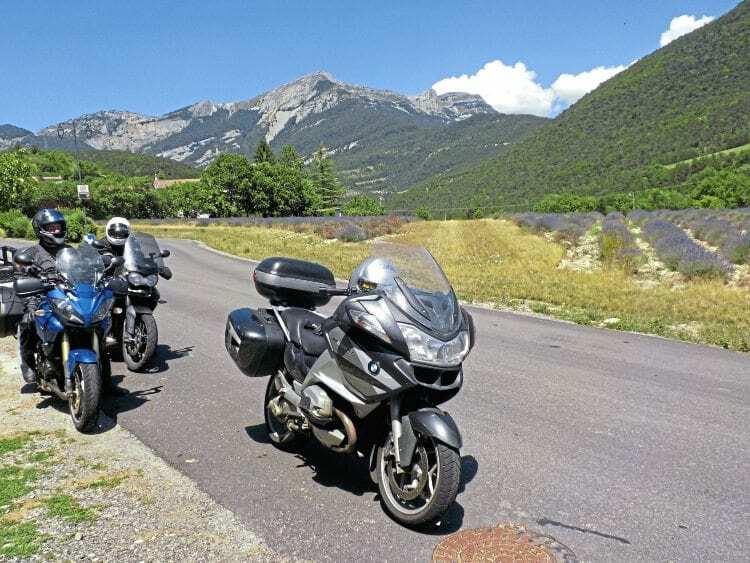 It is one of my favourite places in France and you must not miss the Col de Rousset. I left the boys in Valence and made my way to Geneva Airport where I met Barbara. By the time we got on our way it was 5pm and about 35 degrees, just in time to catch the rush hour. We queued for an hour and a half through Geneva in the blazing sun, with no chance to filter on a BMW with full panniers and a pillion. 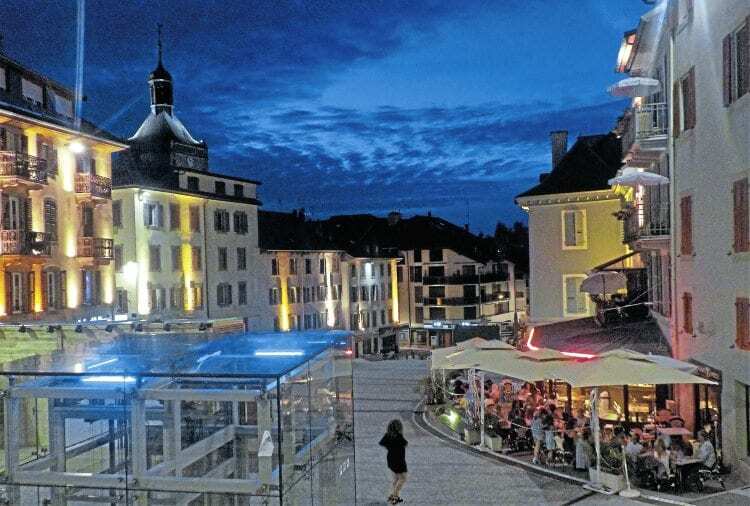 By the time we reached our hotel in Evian les Bain we were soaked in sweat and knackered. Verona market plac at evening time. 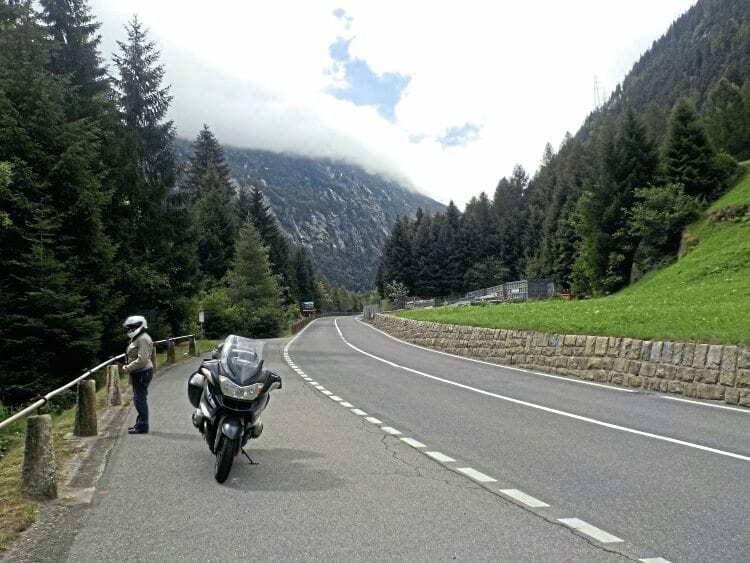 We enjoyed a day around Evian before setting out over the Grand St Bernard Pass into Italy and on to Verona where we had an apartment booked for three nights. 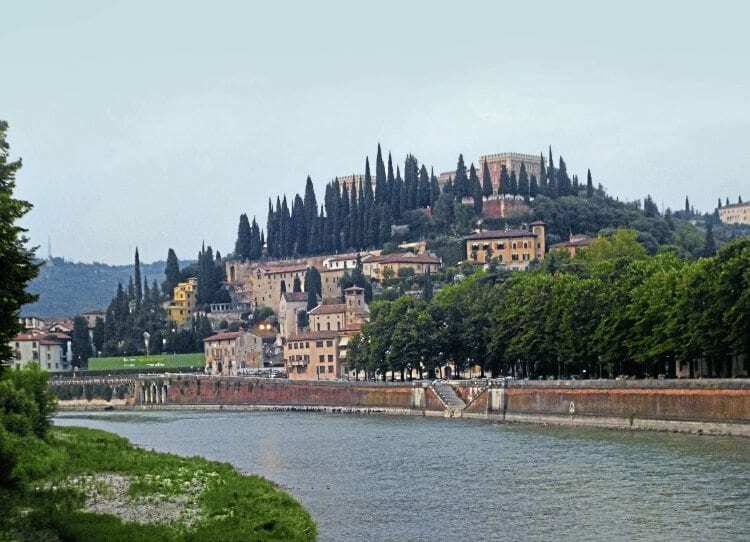 Verona was very hot, but is a beautiful city. It is very much like Venice, but with dry streets. Lovely buildings, markets selling tourist tat, music, fantastic food and very nice people. I quite enjoy opera, although I’m not an opera buff, and Barbara is happy to come with me, so we had booked to see Aida in Verona Arena. It was fantastic – the highlight of the holiday. It is in the old Roman arena and doesn’t start until 9pm. It has a huge stage, which they fill with 300 performers and an orchestra of 120 for the Grand March. Just a huge spectacle, if you like opera at all put it on your bucket list. From Verona we went up alongside Lake Como and over the Splügen Pass. This is one of the small passes where the road climbs in a series of hairpin bends inside short tunnels and galleries up a 1000ft cliff. It is not fast, but it is spectacular and challenging. 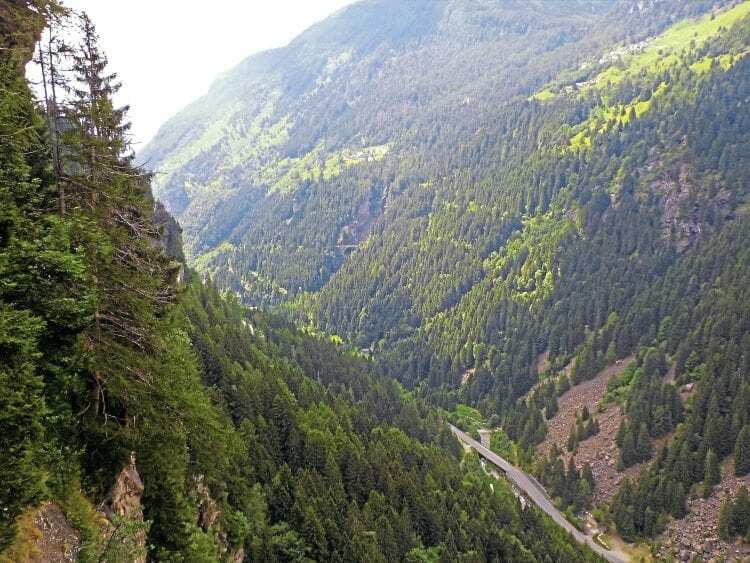 The Splügen Pass road goes from the road at the bottom through the cliff. In Switzerland we did not buy one of their vignettes to go on the motorway, because I find that the old roads alongside are superb. They used to be the main road, so they are well built and surfaced, with spectacular scenery that you can actually see, and you can stop where you want to take pictures. The old Swiss main roads are btter than the Autoroutes, and cheaper. 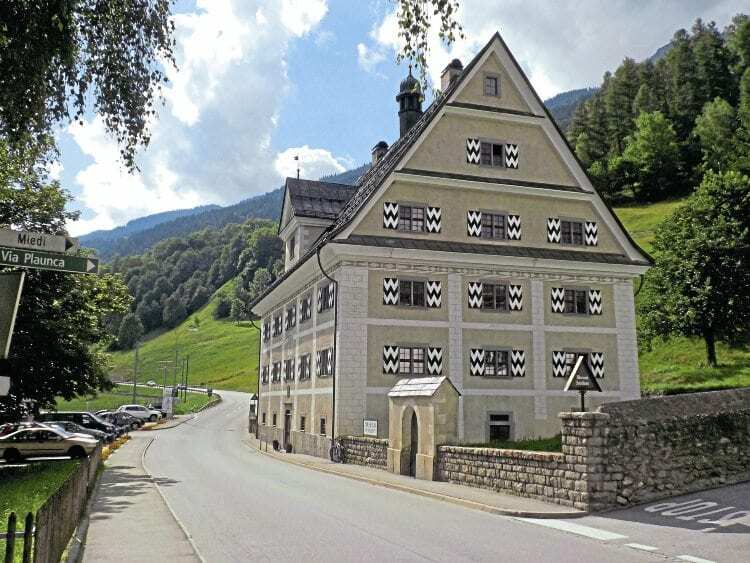 After one night on the Oberalp Pass, then over the Susten Pass, through Interlaken and on to my favourite Swiss village of Chateau d’Oex where we had two nights. 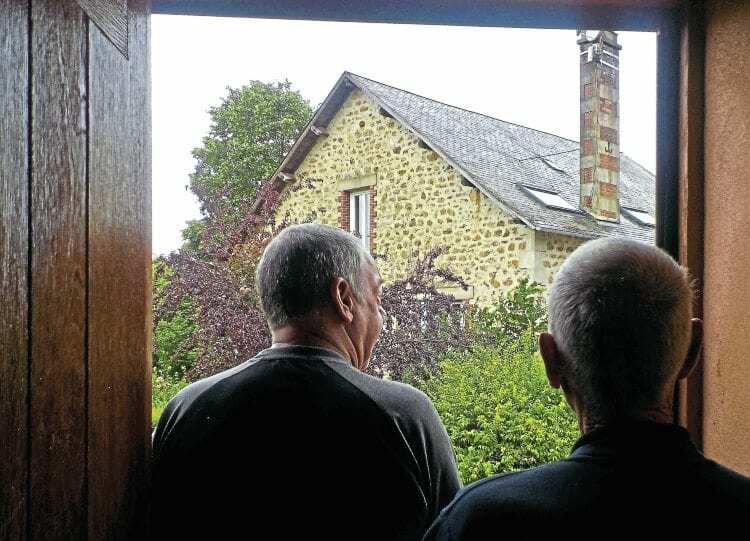 We were careful to avoid going into France on Bastille Day, because the hotels are usually full or closed. The Swiss villages are beautiful. 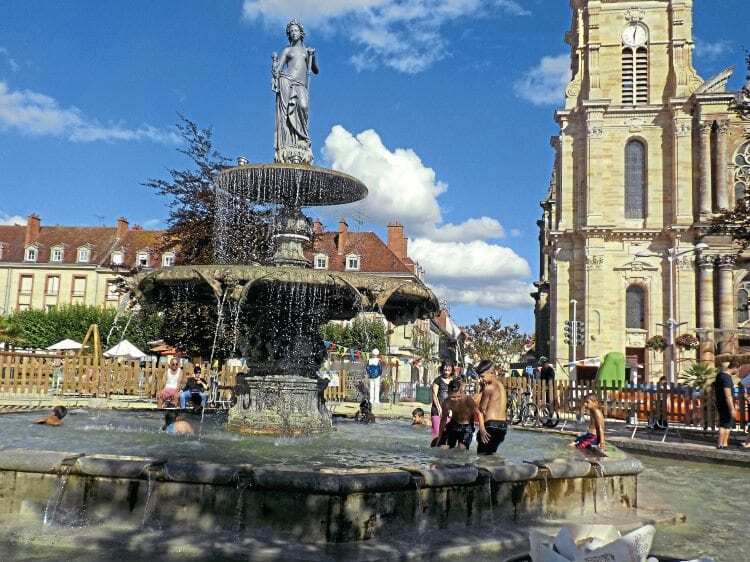 We had an excellent run up through France, again on the yellow roads, staying at Dijon and Vitry le Francois, before hitting the autoroute to Calais, England and home. French kids know what a fountain is for! What a great trip with a bit of everything in; perfect roads and scenery, excellent food and accommodation, adventure, culture, wonderful people, starring on TV and even some decorating! It’s a good job that we didn’t have a plan because it couldn’t have worked out better. Next Post:XLmoto’s ‘easy-up’ RACE tent. NEARLY half price.